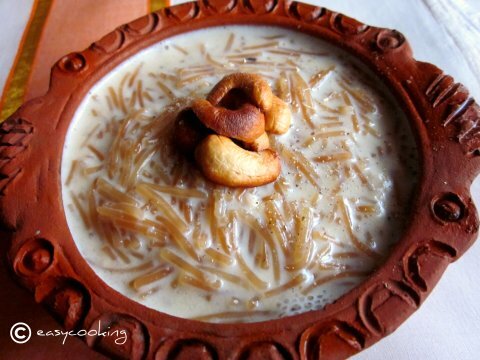 Easycooking: Semiya Payasam ~ Happy Onam!! I have grown up singing the song or memorizing rather,since the song was part of our curriculum.Somehow,just listening to that song transports me back to my schooldays where we celebrated Onam with such enthusiasm.Choosing the flowers for the Pookkalam and bargaining with the flower vendor and eagerly looking forward to the payasam being served after the celebration,it was such a great time. After coming to Chennai,Onam has reduced [sadly] to sms wishes and ready made Onam sadya,the latter not so sad,hehe.Traditional Onam sadya is truly a feast with more than 20-25 dishes each unique and delicious.Preparations starts the day before,on Uthradam Naal,or more popularly known as Onnam Onam.Of course,to prepare the whole sadya,one would need more than two days!! This Onam is extra special because we have three celebrations in one.Onam,SuthanPunav[Avani Avittam] and Raksha Bandhan.I have here today,one of the first payasams I ever learnt to make.The very simple and delicious Semiya Payasam. In a kadai,add ghee and roast the cashewnuts till golden brown.Drain and keep aside. In the same pan,roast the semiya till golden brown. In another pan,boil the milk. When the semiya becomes sufficiently brown,mix in the milk and cook till the semiya becomes soft. Mix in the sugar and let it come to boil. Simmer and cook the payasam for 20-25 minutes. Add the cardamom powder and roasted cashewnuts. Once again,wishing all my readers a very Happy Onam!! Wow looks soo good and really tempting. Nice floral decor.. Happy onam!!! Hey Divya..The Payasam looks really delicious and fantastic...keep rocking!!! HAPPY ONAM dear!!! Happy onam to u and ur family...Beautiful pookolam and droolworthy semiya payasam..yumm..
looks yumm..made this for varlakshmi nombu recently..
Yummmm-de-dum! I love the pictures, and the payasam container...so rustic and nice :) Happy Onam! A delicious treat for the wonderful occasion. Best wishes. happy onam :-) semiya looks delicious,.. 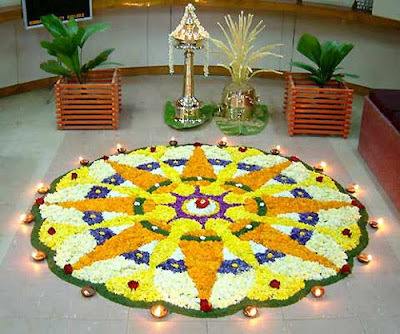 Happy Onam Divya !! Poo Kolam looks beautiful !! Yummy paysam !! I wish you the same, Divya! I loved your caption for the header! 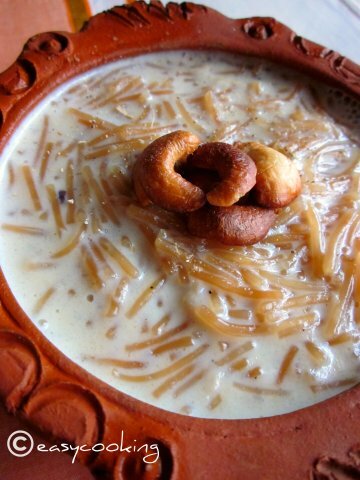 payasam looks super delicious .. 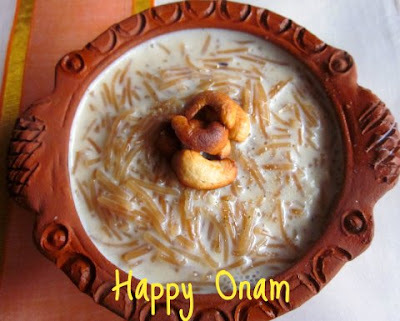 Delicious Payasam and Happy Onam....Nice floral decoration!!! Love that earthen serving bowl. Earthenwares give any food cooked or served in them, a new dimension. Happy Onam to you! Divya, I tried your parippu pradhaman and semiya payasam for onam. For the first time I am making a payasam without using the readymade mix. both came out so well and i got much appreciation from my husband.. thank u so much.. Happy Onam! That floral decoration is awesome!! I love seviya :) Nice bowl.